On October 22nd, marking the 130th anniversary of the Chicago Architecture Club and as part of the ongoing Chicago Architecture Foundation's Currencies of Architecture exhibition, Stanley Tigerman unveiled a follow up to his 1978 “Titanic” photomontage. Entitled “The Epiphany,” the new image, somewhat ironically, is a protest against what Tigerman sees as a contemporary infatuation with icons. 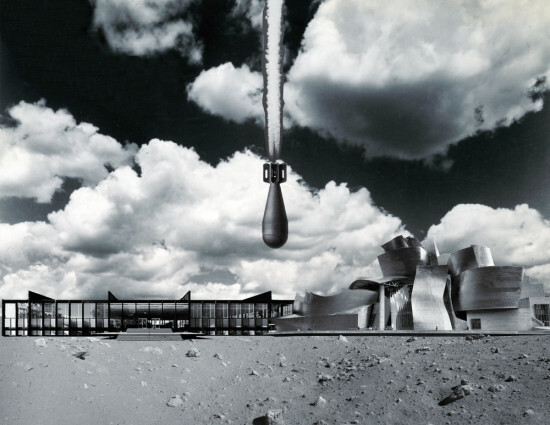 The image itself depicts Mies Van Der Rohe’s Crown Hall and Frank Gehry’s Guggenheim Bilbao sitting side-by-side on the lunar surface. From the same sky as the original “Titanic,” a bomb is falling to destroy them both. As with its predecessor, “The Epiphany” is less a critique of Van Der Rohe or Gehry, as much as it is of those that hold them and their work as the basis for their own work. “The problem with icon is that people use it as a starting point,” Tigerman explained to the crowd at the Chicago Architecture Foundation. “Instead of tabula rasa, a blank page. Inspiration is the emptiness of your page, or your blank computer screen.” “Architects need to teach, in some way,” Tigerman encouraged in the conversation around the unveiling, which was part of a larger event which included discussion of the state of the field and the current Chicago Architecture Biennial. Tigerman also took the time to express his pleasure with the current generation of young architects, and his ambition to hand off the field. “I am very pleased with the current generation. I feel good. I can go now.” "The Epiphany" and Currencies of Architecture can be seen for free at the Chicago Architecture Foundation. 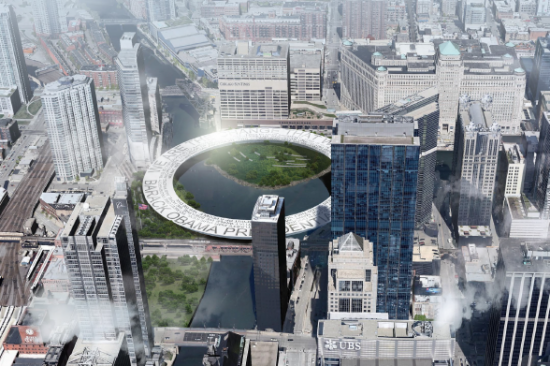 As several Chicago sites—as well as institutions in New York City and Hawaii—vie to host Barack Obama's Presidential Library, the Chicago Architectural Club is “calling for speculative proposals” to consider the design impacts of the nation's 14th presidential library. Submissions are due January 10, one month after official contenders for the library have to submit their proposals to The Barack Obama Foundation. 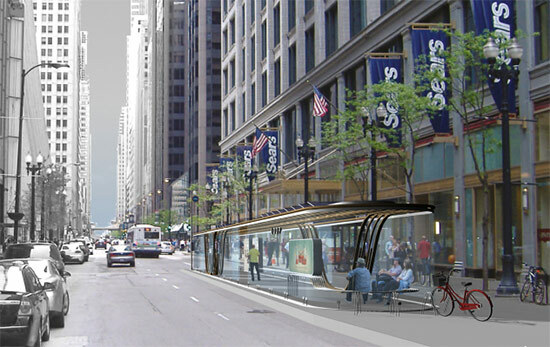 Winners will be announced February 3 at the Chicago Architecture Foundation, 224 South Michigan Avenue. First prize nets $1,500, while second takes $1,000 and third gets $750. The Architectural Club and CAF will exhibit the winning projects on their websites. 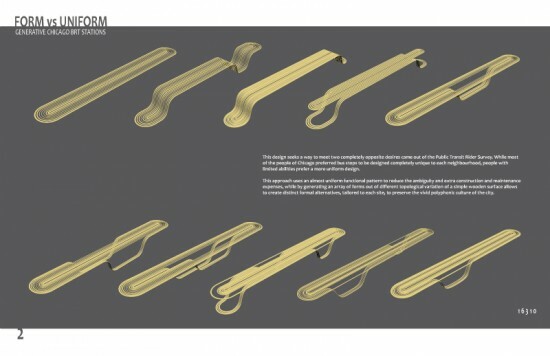 Jurors for the award include Andy Metter (Epstein), Brian Lee (SOM), Dan Wheeler (Wheeler Kearns Architects), Elva Rubio (Gensler), Geoffrey Goldberg, (G. Goldberg + Associates) and John Ronan (John Ronan Architects). 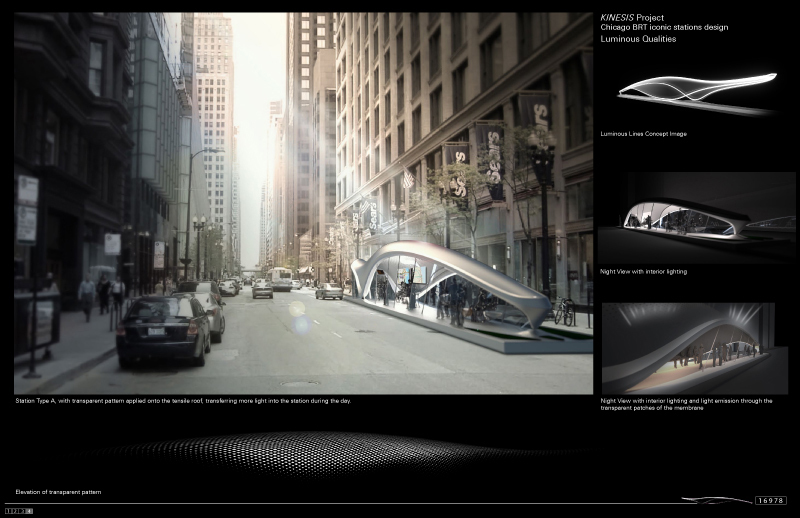 More information on submission protocol is available on the Chicago Architectural Club's website AN's editorial page has called for the library to catalyze the development of public space wherever it ends up, and the speculative designs offered by the Club's annual Chicago Prize are sure to spur good conversation on that topic. 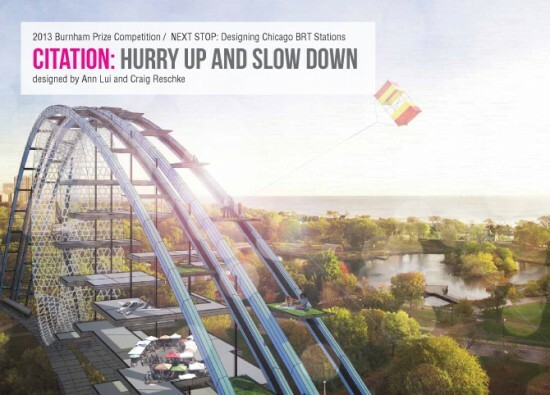 The competition literature identifies the site as the rail yard at the southwest corner of the Chicago River confluence—a site already devoted to Goettsch Partners' River Point development, currently under construction. In library news more likely to materialize as built work, the University of Chicago is mulling Jackson Park as a potential site. 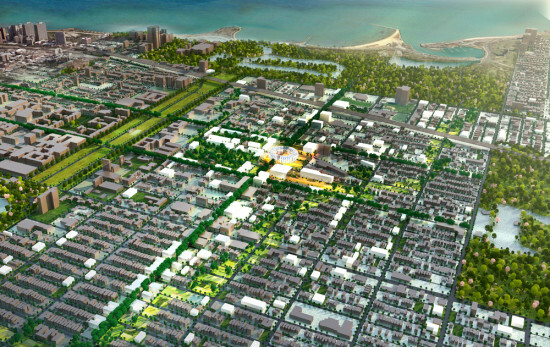 The Hyde Park university where Obama taught law is also reportedly considering an empty lot at Garfield Boulevard and Martin Luther King Drive, the South Shore Cultural Center, and an area of Jackson Park across from Hyde Park Academy High School at Cornell Avenue and Hayes Drive, according to DNAinfo Chicago. 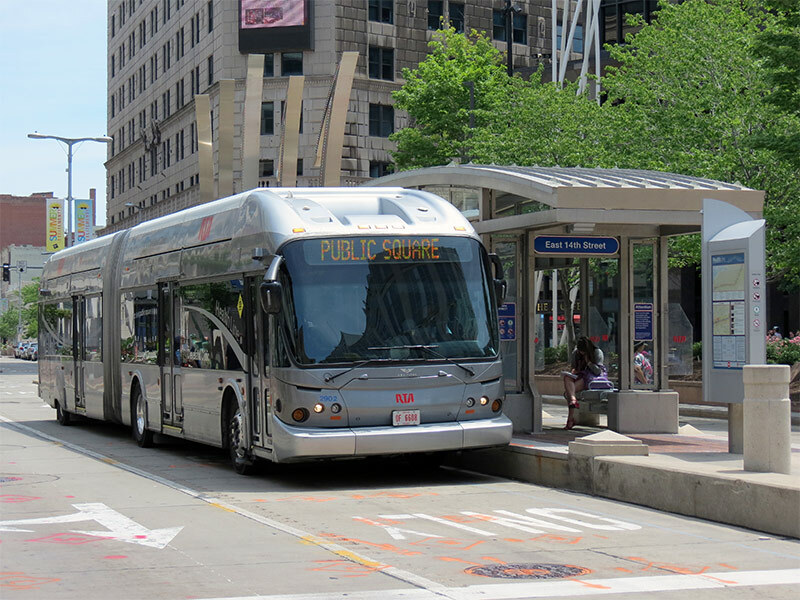 As Chicago rolls out bus rapid transit routes, the benefits of BRT are often presented as a given. 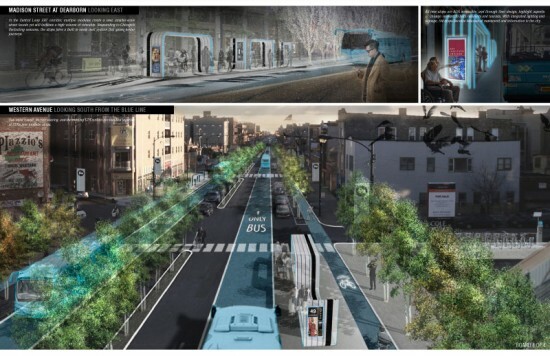 But the experiences of bus systems around the world prove design matters. It might bode well for the burgeoning BRT movement in Chicago, then, that the Chicago Architecture Foundation and Chicago Architectural Club have launched a bus rapid transit station design competition. 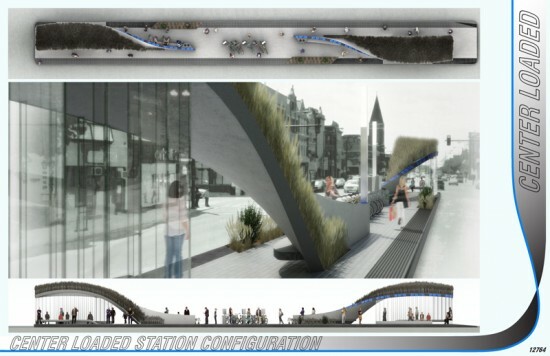 Dubbed “NEXT STOP,” the station design contest will be the subject of the 2013 Burnham Prize Competition. Submit designs for three stations (downtown, near State and Madison; Bucktown-Logan Square at Western Avenue Blue Line ‘L’ Stop; Pilsen near 18th and Ashland) by noon May 13. 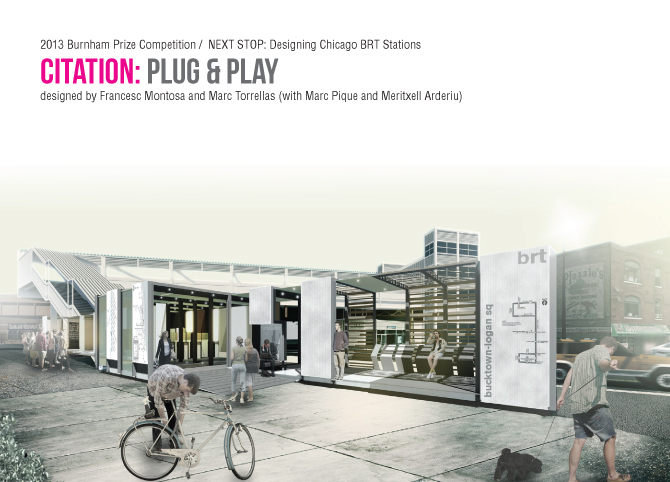 Two new competitions of note explore possible futures for Chicago's public realm. 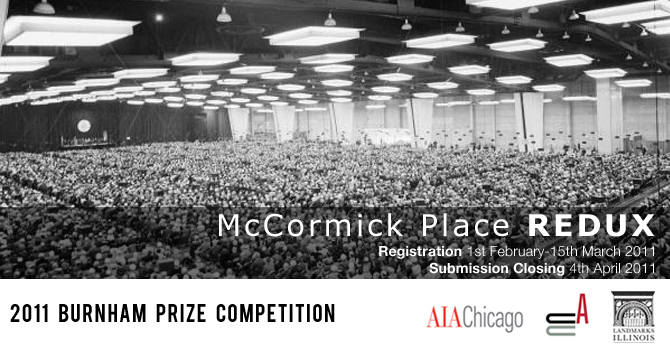 The 2011 Burnham Prize ideas competition sponsored by AIA Chicago and the Chicago Architectural Club calls for new visions for the McCormick Place East building, the 1971 modernist covention center on the lakefront designed by Gene Summers of C.F. Murphy Associates. The massive, Miesian building has a powerful presence on the lakefront, and a vast column-free interior, but parks advocates have long contended it should be removed. Meanwhile, the building's owner, the Metropolitan Pier and Exposition Authority, says it needs $150 million in repairs and is functionally obsolete. 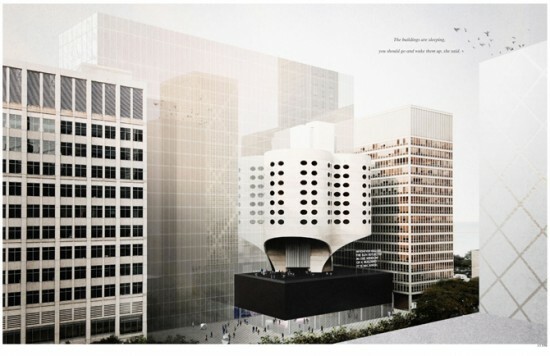 The competition aims to inspire new dialogue around the future of the building and site. 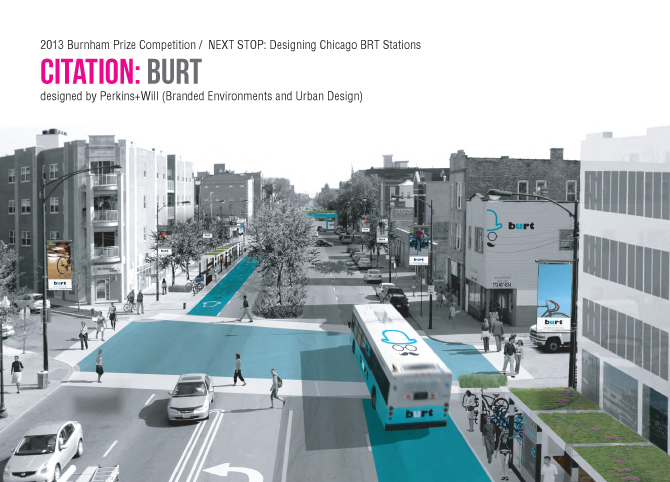 The Street Furniture 2011 competition sponsored by Architecture for Humanity's Chicago chapter aims for something more universal, new street furniture that could be deployed to activate almost any vacant site. 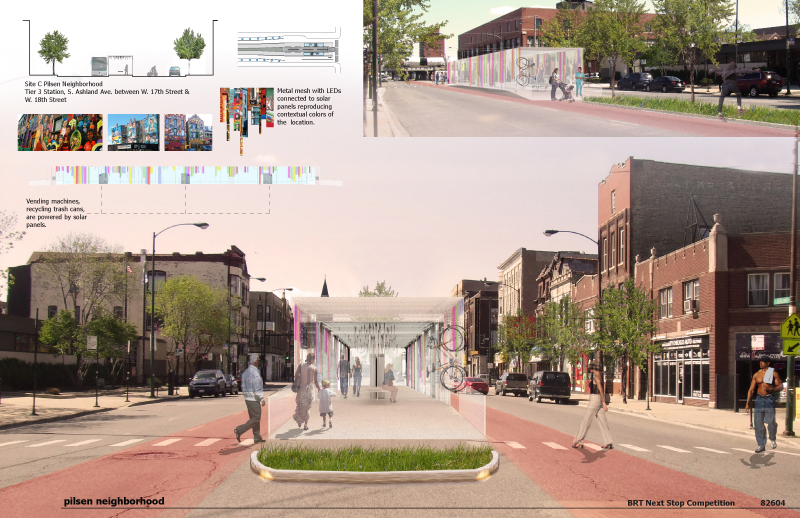 With a $1000 budget in mind, the competition calls for a piece or pieces of street furniture that could activate an open lot for a year in anticipation of future development as a garden. The furniture could then also be moved to a new site. 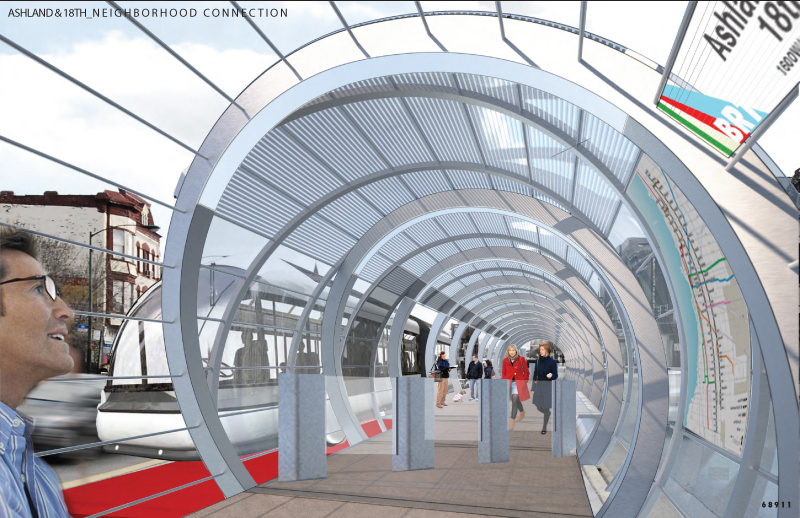 The winning design will be built and installed at an unnamed location.